A nurse checks the temperature of a patient at Redemption Hospital in Monrovia, Liberia. Too often, the conventional wisdom in diplomatic or scientific circles is that the general public doesn't know what's good for them when it comes to foreign policy or tackling global threats. It's too complicated, the experts say; the public wouldn't understand. Yet new polling suggests that many in the public understand very well how global infectious disease outbreaks pose a serious threat to their lives and economic security - and they know what should be done about it. An opinion research survey commissioned by the World Bank Group with 4,000 respondents across five industrialized countries - France, Germany, Japan, the United Kingdom, and the United States - found that most people are not convinced the world, or their own country, is prepared for the next global epidemic. Twice as many respondents think the world will experience another global epidemic in the next decade as will not, and fewer than half are convinced that their own country is prepared. They rank "global health and epidemics" as one of their top global concerns, after terrorism and climate change. These findings come nearly a year since the World Health Organization (WHO) declared the Ebola epidemic a "public health emergency of international concern," its highest level of alert. This triggered a massive global response, but only eight months after the first identified case in West Africa. Yet after more than 11,000 deaths, millions of lives disrupted and billions of dollars in lost income, the threat is not over; new Ebola cases continue to emerge. We've also seen the recent spread of the highly infectious MERS virus to the Republic of Korea, which has contributed to a decline in the country's GDP growth to a six-year low. Both the Ebola and MERS viruses have been largely confined to a few countries because they are transmitted through close contact. But what would happen if the world faced a fast-moving, airborne disease such as the Spanish flu outbreak of 1918-19? Modelling suggests a Spanish flu-like outbreak today would kill more than 33 million people in 250 days. And the cost of such a severe outbreak has been estimated at 4.8% of global GDP - or more than $3.6 trillion. First, let's ensure that all countries invest in better preparedness. This starts with a strong health system that can deliver essential, quality care; disease surveillance; and diagnostic capabilities. We should expand successful efforts such as those by Ethiopia and Rwanda to train cadres of community health workers, who can expand access to care and serve as the frontline response to future disease outbreaks. The goal must be universal health coverage - both to ensure everyone can get the care they need, and also because those areas without adequate coverage put everyone at risk. The public gets this: Strong majorities believe that investing in doctors, nurses, and clinics in developing countries helps prevent epidemics from breaking out in their own countries and saves lives and money. But Korea's experience shows that even the most advanced health systems need to step up their epidemic preparedness. Second, we need a smarter, better coordinated global epidemic preparedness and response system that draws upon the expertise of many more players - including a better-resourced WHO. The early months of responding to the Ebola epidemic fell disproportionately upon the heroic Médecins Sans Frontières. Outbreaks will happen, but they can be contained before they turn into much more deadly and costly global epidemics. This requires pre-set arrangements and close coordination between national and local governments, international bodies, the private sector, and non-governmental organizations, with a supply chain that can be up and running in no time. The private sector, which was largely shut out of the initial response to Ebola, can bring market discipline, innovation, and additional resources to the fight. Third, we must be able to get emergency funding out the door and deploy rapid response teams at the first sign of a crisis. If a fast-moving epidemic hits, the traditional approach of issuing fundraising appeals just isn't good enough. The World Bank Group is working with the WHO and other institutions on one part of the solution - something we call a pandemic emergency financing facility. 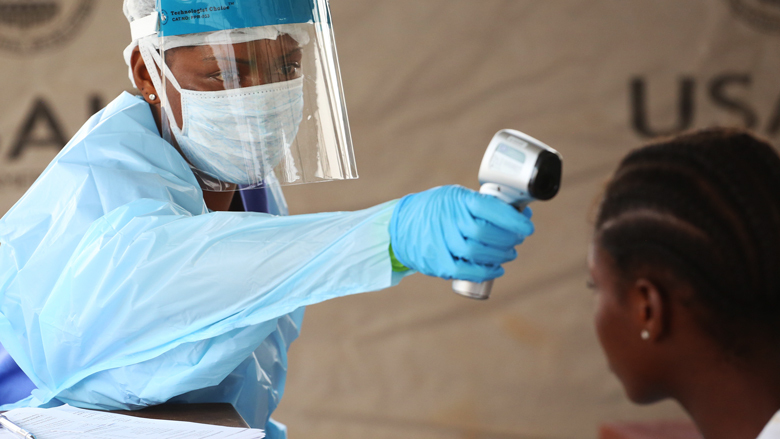 Endorsed by the leaders of the Group of 7 in Germany in June, the facility aims to make sure adequate and timely financing is available to countries and international responders to effectively contain a pandemic threat. The facility is developing innovative financing arrangements such as private sector insurance and public sector contingency pools that can disburse rapidly to support a surge in health workers or the setting up of emergency response operations centers. Governments have already used this model to successfully manage climate and natural disaster risks. Two years ago, a survey of 30,000 insurance executives showed that a global epidemic was their greatest worry. But the executives' alarm was ignored - as were the previous warnings from SARS and avian flu. Today, with the painful reminder of the latest epidemic and public support strongly in favor, it's time to tackle epidemic prevention and response. We must break the cycle of talk and no action.